Taste of Moshava Shabbaton in Chicago! Mmm…This past Shabbat we held the annual “Taste of Moshava” Shabbaton. Over 60 chanichim, in grades 3-6, joined their favorite madrichim and shlichim from Bnei Akiva and Rosh Mosh, Yitzi Matanky for an unforgettable shabbat. From their arrival at K.I.N.S. in West Rogers Park to their final departure from Jump Zone, everyone had a blast. The Chanichim arrived on Erev Shabbat to shul where they experienced a camp-style Kabbalat Shabbat. Just in case anyone forgot (or never knew) how much fun lecha dodi can be, this served as a great refresher. Ruach-filled singing and dancing was the perfect start to Shabbat. As we moved on to dinner and peulot, the excitement intensified. Everyone got up on their chairs for shalom aleichim and stomped their feet to the beat. The meal included delicious food, zemirot, and, of course, Big Gedalia Goomber. Following dinner, all the chanichim participated in a round robin style peulah about Israel. In just an hour, the chanichim visited Yam Hamelech, Yerushalayim and Tel Aviv. We ended the night with a quick tish and said layla tov. In order to properly accommodate each chanich, there was a separate minyan for the 3rd and 4th graders run by the shlichim and madrichim. At the same time, the older chanichim joined the Bnei Akiva youth minyan. Following tefilla and Kiddush, we played some snif style games, which were thoroughly enjoyed by chanichim and madrichim alike . After lunch, which was another meal filled with zemirot, we visited different locations in camp. Madrichim prepared different stations and decorated them so that we felt like we were in places such as the migdal, gym, bayit and many other places around machaneh. Shabbat was almost over, but we still had time for mincha and mischak hagadol with Yitzi. The only things left to do were seudah shlishit, slow shira, maariv and havdalah. All of these things felt like we were all in camp together. Slow shira had a little story in the middle and havdalah had a guitar and singing. What would a Motzei Shabbos at camp be without an awesome night tochnit? Everyone met at Jump Zone where got out all of our excited energy bouncing on the blow-ups and having a blast. While we were all sad to see the shabbaton come to an end, it was a fantastic way to spend Shabbat: hanging out with our friends and madrichim, and participating in camp-like experiences. This “taste of moshava” was not enough to cure our hunger for camp, and definitely kept us wanting more!! Be sure to sign up for camp to satisfy your intense craving for fun!!  Camp Moshava is pleased to announce that Rabbis Seth Grauer and Aviad Sanders will be the Roshei Kollel for 1st and 2nd sessions, respectively. Rabbi Grauer is currently a faculty member at the Ramaz Upper School in Manhattan and Rabbi Sanders is currently the Rosh Beit Midrash at Yeshivat Akiva in Southfield, MI. Check out our staff bios page for a full bio of both Rabbi Grauer and Rabbi Sanders. Ever wanted to see want Machaneh looks like in winter? Check out our Facebook page and see the winter wonderland in Wild Rose! Our annual Taste of Moshava Shabbaton is this shabbat in Chicago. Click here for the official schedule. Our High School campsite, known as “The Hill” will be undergoing several major improvements for summer 2010 including new tents and a fully remodeled Chadar Ochel (dining hall). Click here to see the full list of improvements and click here to register for summer 2010.